Like Albert Einstein and Isaac Newton, the name of Louis Pasteur always appears on the list of the greatest scientists of all time. It is useful for all people who love science and philosophy to understand Pasteur’s thoughts and career. PVHg’s Home would like to introduce some of his most iconic statements, reflecting his deep scientific and philosophical worldview. In 1847, in doing research on molecular structures of matter, Louis Pasteur discovered a law of primary importance: the Law of Life Asymmetry. Evolutionists admit that life is asymmetric but they are afraid of calling it a law, because this law destroys evolution theory. However any truthful one can see that this is really one of the most important laws of life. Abstract: The more science develops, the more Darwin’s theory of evolution exposes itself as a non-scientific hypothesis. Dr Stephen Blume, the author of the book “Evo-illusion”, remarked: “Charles said and wrote many things that give away the fact that he had many doubts about his own theory. 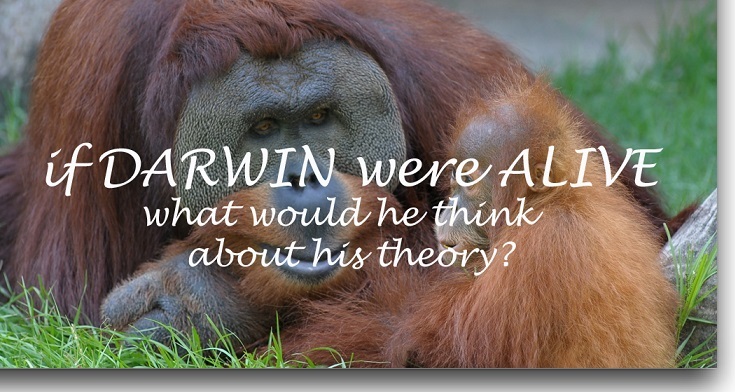 If he were alive today, and could know what humans know now, my bet is he would have trashed his theory long ago”.